There is actually nothing at all surprising about what Alistair Carmichael has admitted about the aim to reassert Westminster's authority over Scotland in the event of a No vote in September (Carmichael accused of hopes to strengthen Westminster ties). Other, perhaps, than the fact that he has admitted such a thing. It has always seemed to me to be a glaringly obvious fact of realpolitik that a No vote - by any margin - would trigger a veritable storm of British nationalist triumphalism in which the result would be hailed as an absolutely conclusive affirmation of the union while the views of the substantial minority of yes voters would be summarily dismissed. Unionists genuinely seem to believe that a No vote will settle the constitutional issue once and for all. And there is nothing in the slightest bit surprising about the fact that they intend to take steps to ensure that the constitutional question is buried for all time. A No vote will be used to justify measures to effectively prohibit further referendums - probably through legislation to establish that any constitutional referendum in Scotland will require the approval of a majority of Westminster MPs. We can also expect that the electoral system will be "reformed" in such a way as to ensure that Holyrood is brought back under the control of the British parties for all time. The Scottish Parliament will be undermined at every opportunity - mainly by way of tightening constraints on its budget combined with increased responsibilities in various areas. As confidence in the Scottish Parliament is eroded the Scotland Office will seek to enlarge its role, with the British parties in Scotland actively colluding in the process of shifting power away from Scotland's elected representatives and putting it in the hands of those who can be relied upon to put the interests of the British state first in all things. All of this is no more than we would expect in a situation where a No vote has empowered those who regard the Scottish Parliament, Scottish political parties and the progressive/independence movement in Scotland as a threat to the structures of power and privilege which define the British state. If the referendum campaign has taught us anything it is that British nationalists will seek to defend the British state by any means and at any cost to the people of these islands and even democracy itself. Why has Alistair Carmichael acknowledged all of this now? It could, of course, be because he is stupid. By which I mean that he is dumbly unaware of the implications of what he is saying. An unawareness that arises from that curious detachment from Scottish politics that seems common to all British politicians. Carmichael is not addressing his remarks to Yes voters. Like most (all?) of his associates in the anti-independence camp, he is quite incapable of talking to people who aspire to the restoration of Scotland's rightful constitutional status because he is as unthinkingly convinced of the righteousness of the established order as anyone who has never spent so much as one second reflecting upon the possibility of alternatives. Carmichael cannot even comprehend the desire for independence. So he is ill-equipped to talk to those who hold this principle dear. He can only really talk to fellow British nationalists. His comments were made, not in the hope of posing a threat to the independence campaign, but as an inspiration to those who see Scotland's subordinate status within an anachronistic political union as part of the natural order. The anti-independence campaign long-since gave up trying to win converts to the cause of denying Scotland's nationhood and the sovereignty of Scotland's people. Their sole aim now is cling to the lead that they believe they have just long enough to survive the vote in September. Then, as Alistair Carmichael has made clear, they intend to ensure that they never face such a challenge again. Be in no doubt about this. In the event of a No vote, the British nationalists fully intend to put Scotland back in what they consider to be its proper place. 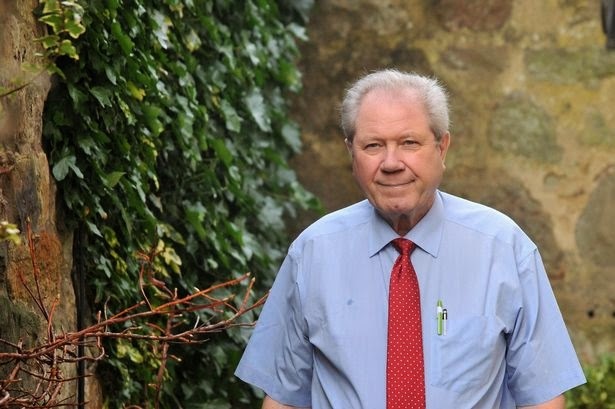 Jim Sillars is, of course, fully justified in being deeply concerned about the consequences for Scotland of a No vote that will empower people whose purpose is to keep power from the people. I was among the first to write about what a No vote would mean for Scotland more than two years ago when such "negativity" was generally frowned upon within the Yes campaign. I have had no reason to revise my views since then, other than to acknowledge that the aftermath of a No vote is likely to be even worse than I supposed back in June 2012. As the referendum has come closer minds are increasingly focused on the question of what happens if we vote No. A question that the anti-independence campaign has determinedly avoided addressing in any meaningful way, and an issue that the mainstream media has almost totally ignored in favour of an unthinking assumption that a No vote would mean a return to the status quo ante of the late 20th century. This is obvious folly. The referendum process has wrought a transformation in Scottish politics - and there's no going back. The genie of political activism is well and truly out of the bottle and it is not going back in. Scotland's people have found a voice and awakened to their own power. The British state will have to silence that voice and crush that power. That's not scare-mongering. It's just realpolitik. The first targets will be the Scottish Parliament and NHS Scotland. The parliament because it represents a challenge to the power of Westminster. Our NHS because it stands as arguably the most potent symbol of Scotland's distinctive political culture. The parliament will slowly, but inexorably be emasculated while Westminster uses its control of Scotland's finances to force a privatisation of the health service to bring it into line with England. Those who want all healthcare services sold off to the private sector, whether for reasons of personal gain or hidebound ideology, cannot afford to have a functioning example of a genuine public health service just across the border. It won't stop there. But just as Thatcher chose to attack the miners so as to break the whole labour collective so Cameron (or Miliband, it doesn't matter) will go for our parliament and our NHS in the hope of breaking the people of Scotland. Those intending to vote No should bear this in mind. So, i find myself in total agreement with Jim Sillars on that point. A No vote will inevitably be massively detrimental to Scotland. where I part company with him is in the suggestion that the situation will be hopeless. I take the view that independence is now inevitable and that a No vote can only postpone it for five or maybe ten years. I take this view not only because I believe that the spirit of progressive activism that has been arisen in Scotland will not be suppressed, but also because I recognise that the response of the British state to a No vote will, itself, provide greater impetus for the independence movement. My concern is not that the restoration of Scotland's rightful constitutional status will not be achieved but that, in the interim, irreversible harm will have been done to Scotland's institutions and that serious, perhaps irreparable damage will have been done to the relationship between Scotland and the rest of the UK. Unionists/British nationalists do not care about any of this. Some because they lack the foresight to see what will happen. All too many because they reckon Scotland deserves to be punished for exercising its right of self-determination. Almost all because they hold as an article of faith that the British state must be preserved at any cost to the people of these islands. In advising his grandchildren to leave I don't doubt for one moment that Jim Sillars is acting as a loving grandparent. Being able to adopt a more detached perspective, I would urge all who wish Scotland well to remain. I would implore them to tough it out during the political and economic onslaught that will surely follow a No vote. I would ask that, should that need arise, they lend themselves to the peaceful, democratic, constitutional fight to restore Scotland's self-respect and standing in the world following the humiliation of rejecting our own independence and denying our own sovereignty. And I would tell those young people that we will need all of Scotland's talents in order to do that. 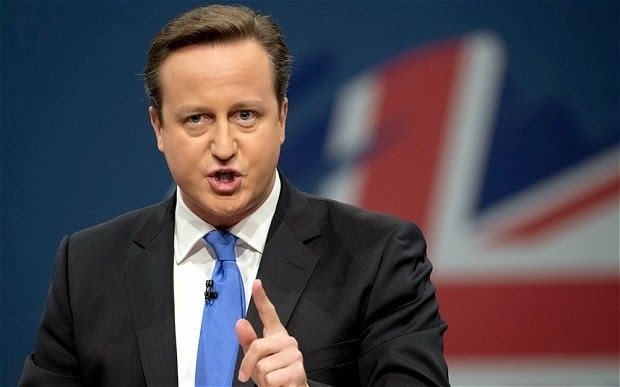 David Cameron insists that it is not anti-Scottish to reject independence and vote to stay within the UK. But is that true? Can it be in Scotland's interests to vote against the sovereignty of Scotland's people? Can it be in Scotland's interests to vote against Scotland having the normal constitutional status of a nation? Can it be in Scotland's interests to vote No and thereby endorse a process by which we get governments that we have rejected at the polls? Can it be in Scotland's interests to vote No and thereby endorse a process whereby governments that we have rejected at the polls impose policies that we abhor? Can it be in Scotland's interests to vote No and thereby empower a political system which is increasingly inimical to the political culture of Scotland? Can it be in Scotland's interests to hand over to the ruling elites of the British state the power that we will hold in our hands on Thursday 18 September in exchange for a handful of vague and worthless politicians' promises? Can it be in Scotland's interests to vote No and inflict on generations to come the humiliation of being the nation which rejected its own independence in favour of subordinate status in an anachronistic, dysfunctional political union within which we are treated with ill-concealed contempt? If "anti-Scottish" is defined as that which is contrary to Scotland's interests then it can readily be argued that voting No is "anti-Scottish". At the very least, those intending to vote No should be aware of the fact that are choosing something which must inevitably be harmful to Scotland and its people in ways that are more or less tangible. Those intending to vote No need to be very sure that the British state to which they are giving their allegiance is worth the sacrifice of Scotland. Like most of the media - The Courier being, to some extent, an exception - The Scotsman entirely misses the point. To portray Kathy Wiles's posting of the Nazi image as an isolated, if deeply offensive, incident obscures the fact that she has a history of such unpleasantness. And, more importantly, that this history must surely have been known to those who selected her as a British Labour candidate in the 2015 UK Parliamentary elections. It simply is not credible, taking into account the prominence given to the issue of "online abuse" in the referendum campaign by British Labour and their Tory/LibDem allies, that the chair of Angus constituency Labour party, John Ruddy, or at least one of his colleagues would not have thought to at least glance at Kathy Wiles's social media accounts. And it would have taken no more than a glance to discover that this individual professed some distinctly dubious views on diverse matters, but particularly the SNP, those who vote for the party and independence supporters in general. 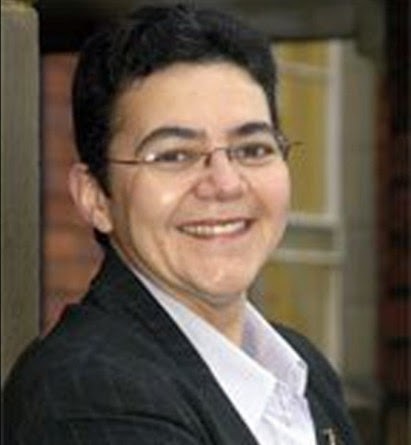 One would have to be naive in the extreme to suppose that Kathy Wiles came to the selection process as someone completely unknown to the local British Labour hierarchy. The only possible conclusion is that they knew full well what she was like. And they didn't care. This whole Kathy Wiles episode is symptomatic of the disease at the heart of British Labour in Scotland and, perhaps to a somewhat lesser degree, the other British parties too. There is a cancerous resentment at the core of unionist politics in Scotland born of an unthinking sense of entitlement being denied, righteousness being challenged and the natural order being disrupted. This has given rise to a malignancy within the British parties - but British Labour most of all - in which a snarling, vicious loathing of the Scottish National Party is seen as normal and even the most splenetic expressions of this irrational hatred are regarded as quite acceptable, if not an actual requirement for acceptance by the group. This would be regrettable enough in itself. But what we are seeing is a much more disturbing spilling over of this detestation of the SNP into contempt for those who give their vote to the party and, by extension, the democratic system which allows those voters to reject the "right" parties and threaten the established order. Kathy Wiles may be an aberration in the wider context of a Scottish politics which has, if anything, become much healthier, more diverse, more tolerant and more thoughtful as a result of the referendum debate. But she is far from being exceptional in the context of British Labour tribalism and the odious brand of British nationalism which constitutes a large and growing part of the unionist response to the democratic process of self-determination in Scotland. Follow Peter A Bell's board Politics Scotland on Pinterest. If you find these articles interesting, please consider a small donation. All monies received are used in furtherance of the campaign to restore Scotland's rightful constitutional status. ©2012 Peter A Bell. Simple theme. Powered by Blogger.